Do you want to know what he/she is thinking and what intentions has towards you? You have found me for a reason. Let me show you what the spirits reveal for you and all the answers you are seeking about relationship, finance, career, and much more. I’ve helped many people to obtain what they desire the most. I have being doing Psychic and Tarot readings professionally for over 17 years. I am a natural born Psychic, Empath, Intuitive, Clairvoyant and Clairsentient. I have many years of experience doing Mediumship and can connect with others who has passed and channel their messages to their families and love ones. I work with many tools, mostly with tarot cards, to find the answers you are seeking for and bring forth the clarity needed to solve any situation. I do not need tools I but when using tarot cards and other tools I always use my Psychic intuition and abilities as well. As a gifted medium and Psychic I channel spirits and voices in all my readings. I can pick up situations, feelings and intentions from people and will be able to tell you what he or she is thinking and what intentions has towards you. I can see clearly the present, past and future. My readings are accurate, honest and to the point. I do not sugar coat. I like to be direct in a very caring way. My predictions are accurate and sincere and will help you with any situation about relationship, finance, career, past life connection, mediumship, soul mate connection and much more. I am able to tap into others’ thoughts and feelings and can guide you or advice you I these areas. I’m natural gifted Medium and can connect with spirits of love ones who has passed. I specialize in Tarot reading and use Psychic intuition during all readings. I have experience with Crystal Scrying and doing readings using Hoodoo Shell Divination method. I provide all answers and guidance in removing black magic or blockages. I also offer insights about love spells and how to attract your soul mate and to bring stability in relationship. I also offer Spirit guides Reading, Angel Card, Tarot and Psychic picture Readings via email. Over 15 years professional Psychic and Tarot reader. 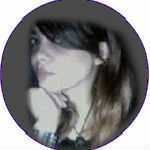 Natural born Psychic, tarot reader, Intuitive/Empath, Clairvoyant, and Clairsentient. The cost right now is $2.00 per minute and you get 50% off if you are a new user. Come back to tell us how was the session. so $20 will get me 23 minutes? that sounds too good to be true. 23 minutes is a long time to talk about my soul mate only. That being said, you get 23 min for 20$, you are completely right.